As the academic medicine community faces new demands, maintaining a human connection with our patients is more crucial than ever. Editor’s note: The opinions expressed by the author do not necessarily reflect the opinions of the AAMC or its members. When I was a resident in the 1970s, there were no work hours. I was free to check on a patient without limit and sit and talk with families. Like others who trained at public hospitals, I had “midnight meals” with resident mentors where I could discuss a difficult case and learn how to sustain our human connection. Long before my time, the only tools doctors had to heal were the tradition of the field, intellect, and compassion. They sat at bedsides and listened. They made house calls and supported patients and their families. They had only one or two drugs and the surgeon’s knife. They came with a gentle touch and an empathetic ear and created a sacrosanct space of trust. What has happened? How did we get from there to here? Many have answered the question with “system” responses, but simply, we are losing the human connection. These are exceptionally difficult times for medical professionals. Stress and depression have reached staggering levels among physicians, with more than half of practicing physicians reporting symptoms of burnout. Nurses have the same experience. The suicide rate among physicians is more than two times higher than in the general population. Nearly half of U.S. physicians would not recommend medicine as a career for their children. Constant demands from electronic medical records (EMRs) are linked to the increase in burnout, studies show. Physicians spend an estimated one to two hours on EMR-related tasks for every hour with patients. These concerns about preserving relationships with our patients are not new. In the 1980s, Arnold Gold, MD, and Sandra Gold, EdD, became alarmed that the intimate bond between patient and physician was fraying. With a tiny staff in Englewood Cliffs, N.J., they set to work, forming the Arnold P. Gold Foundation with the goal of helping medical students and physicians maintain the humanistic passion that first compelled them to enter medicine. In the decades since then, it has become increasingly clear that the human connection between providers and patients is essential to achieving and maintaining health. Humanism is the only philosophy, the only path forward that supports health care professional and patient alike and contributes to the Quadruple Aim. Only when we care for the clinicians themselves—when the whole health team is healthy ourselves—can we care for the patient optimally. You probably know the Gold Foundation from our White Coat Ceremony, the iconic rite of passage that emphasizes patient-centered, compassionate care at the beginning of medical training. 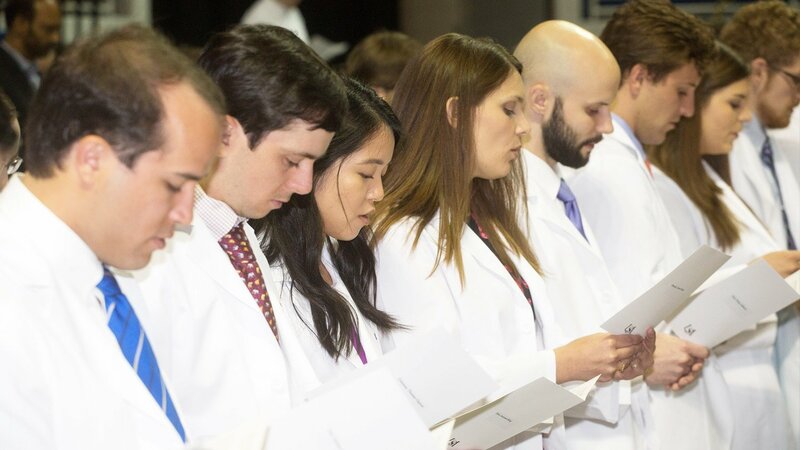 We estimate that 400,000 medical students have participated in a White Coat Ceremony. More than 200 nursing schools have implemented a similar ceremony. We also recognize students, residents, and faculty who have served as role models for humanism in health care through the Gold Humanism Honor Society (GHHS), now more than 30,000 members and 160 chapters strong. GHHS is now listed on the Electronic Residency Application Service® (ERAS®) form, alongside Alpha Omega Alpha and Psi Sigma Alpha. The addition of the GHHS check box in 2016 was the first major change to the ERAS form in 15 years, signaling the importance of compassion and empathy in the ways medical students are measured and residents are selected. The White Coat Ceremonies and GHHS, two important footholds of humanism for medical schools, continue to expand. The Gold Foundation has created numerous awards, fellowships, and programs to support humanism and honor role models of compassionate care. The Academic Medicine Gold Partners Council, which recognizes medical schools and teaching hospitals that commit to advancing humanism, has grown from 62 medical schools to 148 institutions and continues to evolve. But this crucial time demands more. Our national effort called the Gold Community of Caring embraces the entire health care team, including researchers, nurses, physician assistants, administrators, and hospital staff, with patients and their families at the center. In addition to helping our colleagues maintain humanism, we are advancing the scholarship of humanism in medicine. The Gold Foundation Research Institute (RI), launched in 2012, has led to a community of more than 300 researchers who are focused on restoring the human connection in health care. Led by Elizabeth Gaufberg, MD, MPH, an associate professor at Harvard Medical School, the RI is helping researchers accelerate discovery in humanism in health care, disseminate findings, and use those findings to make change through grants and partnerships. Such research can make an important difference for the whole health care team and help us develop evidence-based best practices to advance humanism. For example, a research team led by Wei Wei Lee, MD, MPH, of the University of Chicago Pritzker School of Medicine has been studying patient-centered use of the EMR. This RI-supported research can guide efforts that encourage physicians to use the computer as a tool to facilitate, instead of allowing it to hinder, communication with their patients. As educators and clinicians, it is up to us ensure that our future doctors and other health care providers are prepared to provide compassionate care and to guide them in approaching this challenging journey with empathy. It is more crucial than ever. 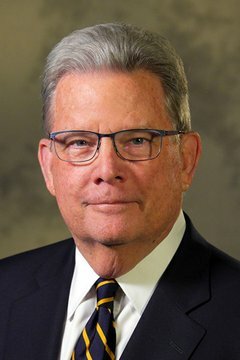 Through our efforts, my hope is that all of us will have work environments that support the joy of medicine and that we understand the importance of the enduring, essential human connection that we gleaned decades ago as students and residents, sitting and listening with patients and their families. Med school in 3 years: Is this the future of medical education? See more Viewpoint columns from members of the academic medicine community.